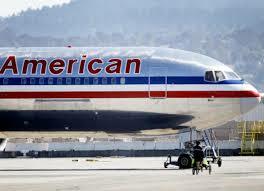 In my business life I flew more or less exclusively on American Airways when commuting to the US. I racked up over 7 million AAdvantage miles with them, and I like to say they treated me with the same indifference at the end as on the first day I walked on one of their planes. That was mostly hyperbole though, since, being English, I didn’t want a lot of meeting and greeting and in truth they actually treated me very well. I had the concierge key (a level above exec platinum), and that got me into some of their secret lounges, like the little one behind a n unmarked door at Logan (by far my favorite). At JFK, the very pleasant bar lady would have my Martini stirring as soon as she saw me walk in. And American made me Platinum for life (sadly theirs, not mine), which is still a huge benefit as I struggle with BA. Even though I expect it to stop all the time, and even now 6 years after I last flew with AA I still get my Platinum card every February. BA on the other hand used to irritate me the moment I walked on one of their planes, which was as infrequently as possible. I won’t make this a litany of complaints, but just two examples will illustrate my point. In the time I was flying transatlantic business class, American (like every other international airline, bar one) would give you a beer or glass of wine as you settled into your seat . In my case this was very welcome, as it was always late evening, and I would have hustled down the 50 miles from Armonk and sweated though the rental car return and the shuttle bus. 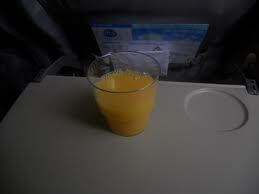 BA on the other hand offered tepid orange juice or water. Nine pm in the evening after a crap journey and a hard week, just what every business person wants is a refreshing warm glass of BA orange juice. The truly irritating thing was that when asked why, the staff always said “those are the rules sir, nothing we can do”. This despite the obvious fact that in first class they were swilling it back, and that in every other plane on the runway, lucky non BA customers were being offered a civilized welcome. A small item, but it was the smug jobsworthness of it that really got my goat. BTW I know they offer drinks now, but for many years they didn’t*. OK, it was minor point, and if that was all, surely not a big deal. But then there was the seat. Some way into my commuting stint, BA introduced their lie-flat business class seat, which they announced with great fanfare. Their real trick, it transpired, was to squeeze the maximum number of these sardine-can like containers into the available space, by making them both narrower and shorter than required for comfort. Specifically when flat, the seat is exactly 6′ ft long and is closed at both ends, meaning if you are that height or over, when sleeping you have the uncomfortable sensation of being trapped in a coffin, as both your feet and head are touching the ends. The seat is too narrow to allow curling up to obviate this. I am 6ft 4in in height – above the UK/US male average which is about 5ft 10in. However, heights like many things, follow a normal, or Gaussian distribution. 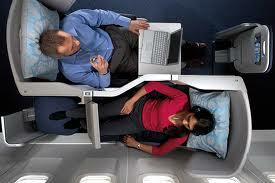 That means that 20% of BA’s male customers will find this seat uncomfortable, and the 15% or so above 6″2, will find it very uncomfortable. BA presumably weighed the option of making more money against the comfort of 20% of their male business class passengers, and decided in favour of the former. And there are numerous other little and big examples, that I won’t bore you with. 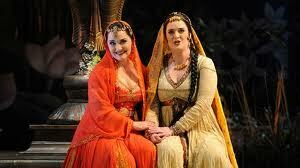 Except one, which brings me back to opera. Last night I was listening to Lakme, a gorgeous opera by written by Delibes in the late 19th century, with a theme of sultry and doomed Anglo-Indian romance. All of it is a delight, but particularly beautiful is the ethereal 1st act duet – “The Flower”, or “Viens, Mallika…..”. You can see it here on YouTube, and those of you that have traveled with British airways will instantly (well after 80 seconds) see the reason for the headline of this post. In addition to all the irritations of their cr*p airline, these people have also forever tied those irritations up with one of the most beautiful duets ever written. Not just b*st*rds, double b*st*rds. This is my version by the way and I recommend it highly, but there are many others including a highly rated one with Joan Sutherland as Lakme. Enough of this, I have vented sufficiently to restore my face to just below purple level again. I have only one thing more to say – which for those of you who have read my previous technology posts is all that is needed. BA for me is the Apple of the Skies. All the self righteousness, imposition of unnecessary rules for their own convenience, wrapped up in a smug, inferior and unappetizing sandwich (literally, in the case of BA coach -don’t even get me started). * Notes. I am pretty sure that the reason for the champagne in first class and orange juice in business was due to a pathetic and very English attempt to clearly delineate between the classes. When it became ultra clear that was p*ss*ng off their business customers they changed. Just after it happened I asked why the sudden difference. “Oh the rules have changed now Sir”. As though it wasn’t their stupidity that created the rules in the first place. And I recognise there are worse airlines.